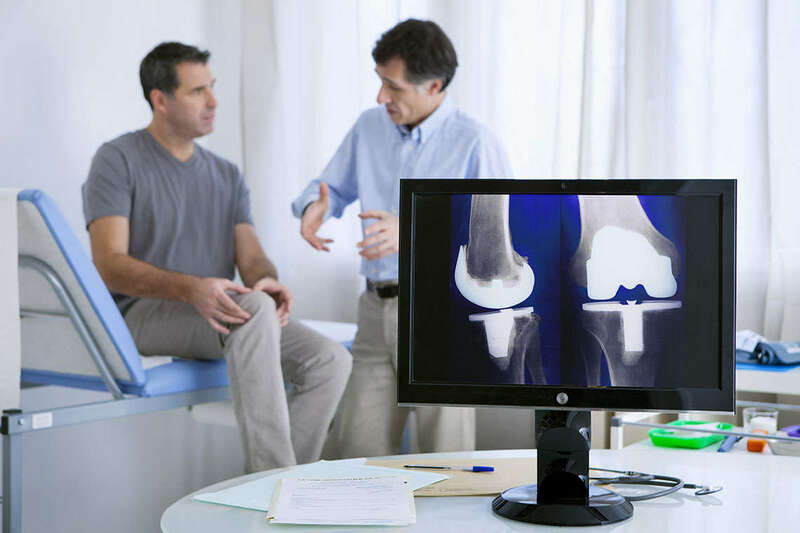 If you underwent knee replacement surgery and experienced severe pain or other medical complications following the procedure, Morgan & Morgan’s class action lawyers were looking to hear from you for a class action lawsuit. As reported by the New York Times, the OtisKnee cutting guide was used on thousands of patients despite the fact that the FDA never approved it. Our attorneys are now reviewing complaints from knee replacement patients who experienced problems after undergoing surgery with the OtisKnee. What Is the OtisKnee and What Problems Are People Reporting? OtisMed Corporation marketed the OtisKnee cutting guide to doctors as a tool to assist in making accurate bone cuts based on magnetic resonance imaging (MRI) performed before surgery. The OtisKnee device was intended to benefit patients by increasing the speed of the surgery and shortening recovery time. For some patients, their recovery following knee replacement surgeries that used the OtisKnee was extremely problematic. These patients reportedly experienced severe pain and needed to undergo corrective surgery. If the FDA Did Not Approve the OtisKnee, Why Did My Doctor Use It? The FDA has three classes of medical devices. Class I devices, such as dental floss and surgical gloves, are considered low risk and subject to the least amount of regulatory scrutiny. At the other end of the spectrum, Class III devices pose the highest risk and are therefore subject to the highest level of regulatory review. OtisMed misled the FDA by claiming that it was a Class I medical device that did not need to be reviewed and approved by the FDA. The company, however, should have classified OtisKnee as a Class III medical device, which would have required it to be studied and reviewed by the FDA. Because OtisMed classified the device as a Class I medical device, the FDA did not confirm or evaluate the company’s claims regarding the safety or effectiveness of the device. Prior to the discovery of the fraud, surgeons throughout the country used the OtisKnee cutting guide during total knee arthroplasty (TKA), which is commonly referred to as knee replacement surgery. Between May 2006 and September 2009, OtisMed sold more than 18,000 OtisKnee devices, generating revenue for the company of approximately $27.1 million.